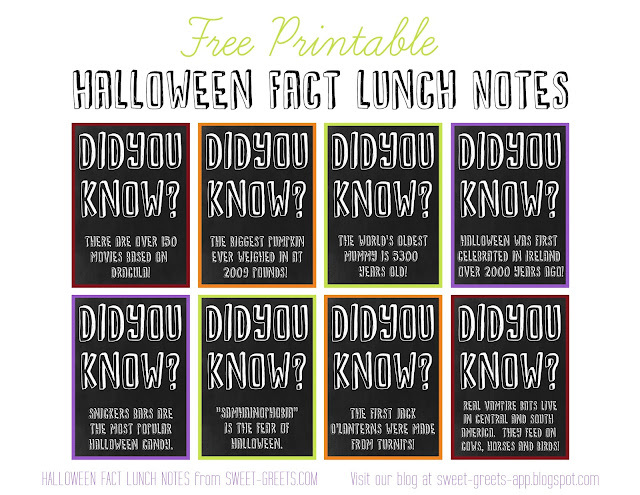 Here's a set of printable lunch notes featuring some interesting facts about Halloween. Just click the image above to download. Enjoy!